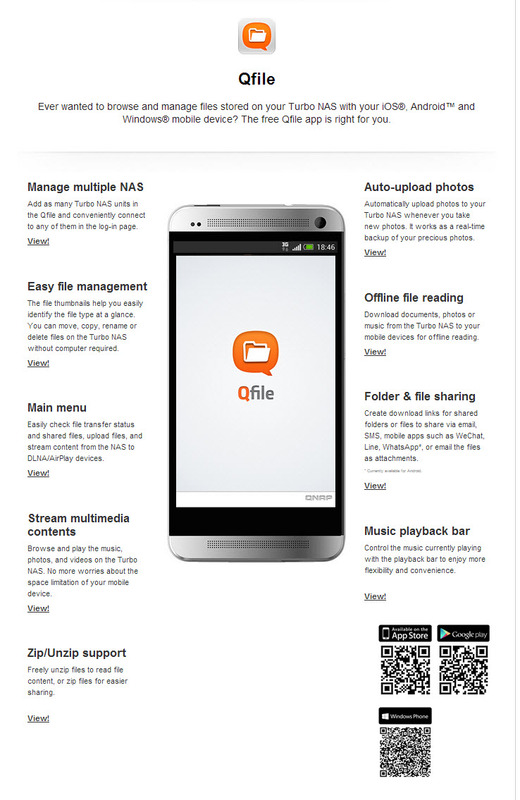 I – Qfile: Ever Wanted To Browse And Manage Files Stored On Your Turbo Nas With Your iOS®, Android™ and Windows® Mobile Device? The Free Qfile App İs Right For You. 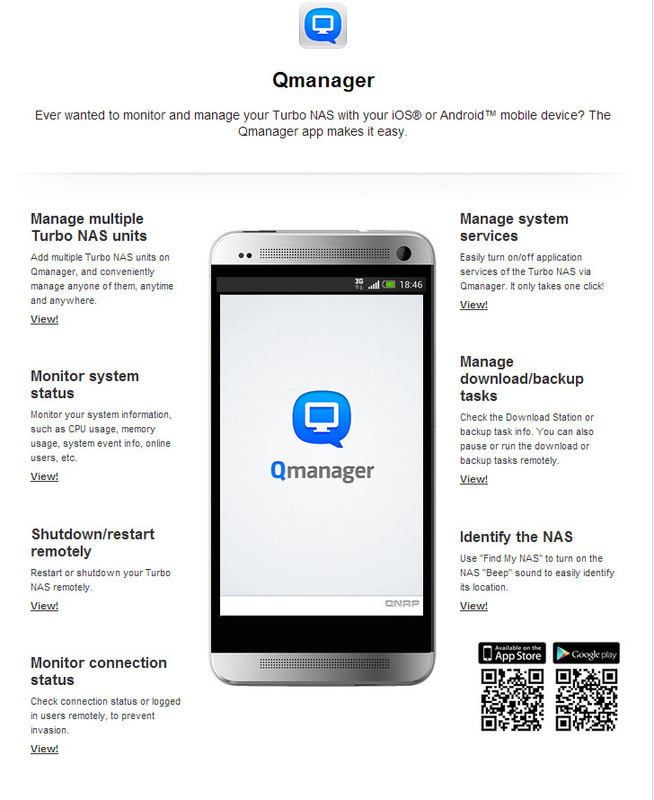 II – Qmanager: Ever Wanted To Monitor And Manage Your Turbo Nas With Your iOS® or Android™ Mobile Device? The Qmanager App Makes İt Easy. 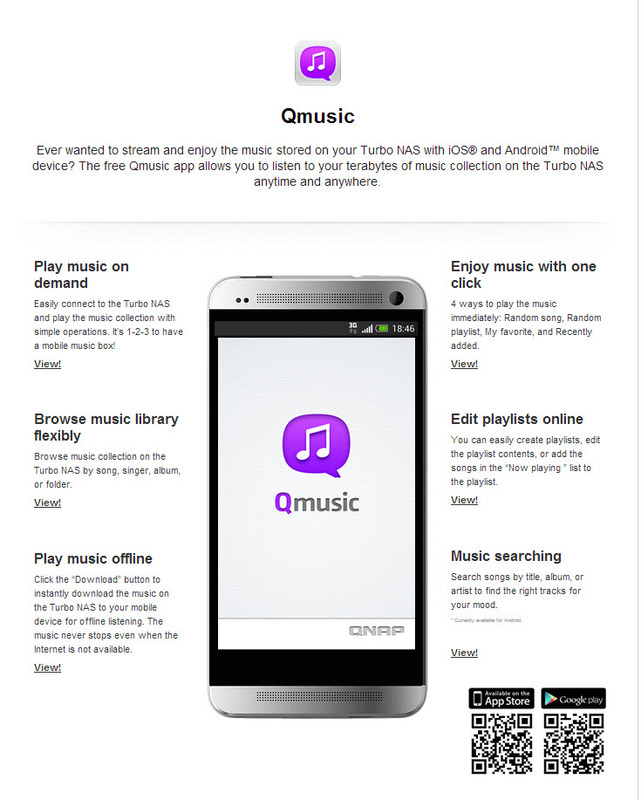 III – Qmusic: Ever Wanted To Stream And Enjoy The Music Stored On Your Turbo Nas With iOS® and Android™ Mobile Device? The Free Qmusic App Allows You To Listen To Your Terabytes Of Music Collection On The Turbo Nas Anytime And Anywhere. 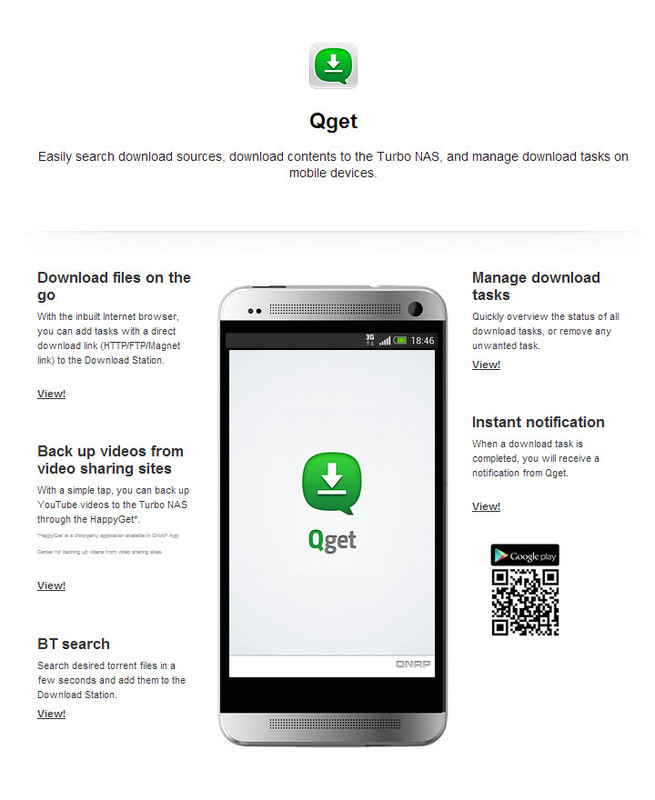 IV – Qget: Easily Search Download Sources, Download Contents To The Turbo Nas, And Manage Download Tasks On Mobile Devices. 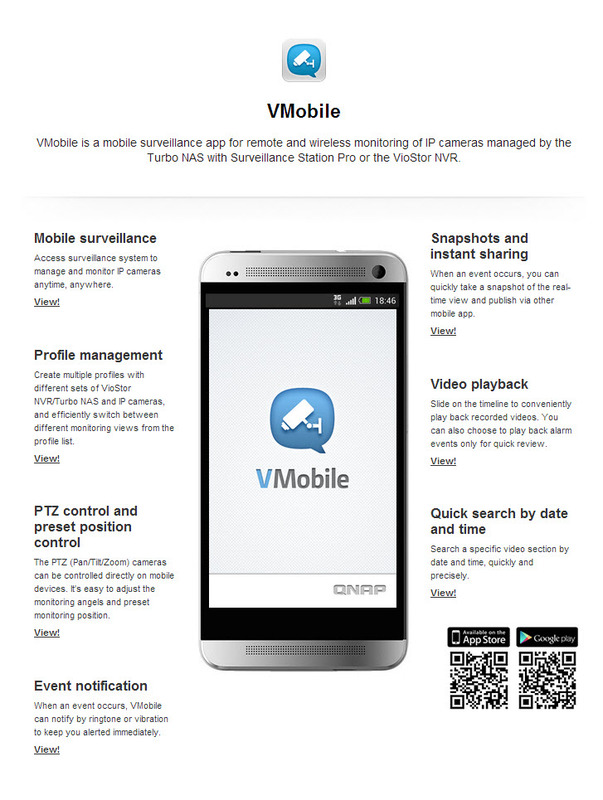 V – VMobile: Vmobile İs A Mobile Surveillance App For Remote And Wireless Monitoring Of IP Cameras Managed By The Turbo NAS With Surveillance Station Pro Or The VioStor NVR. 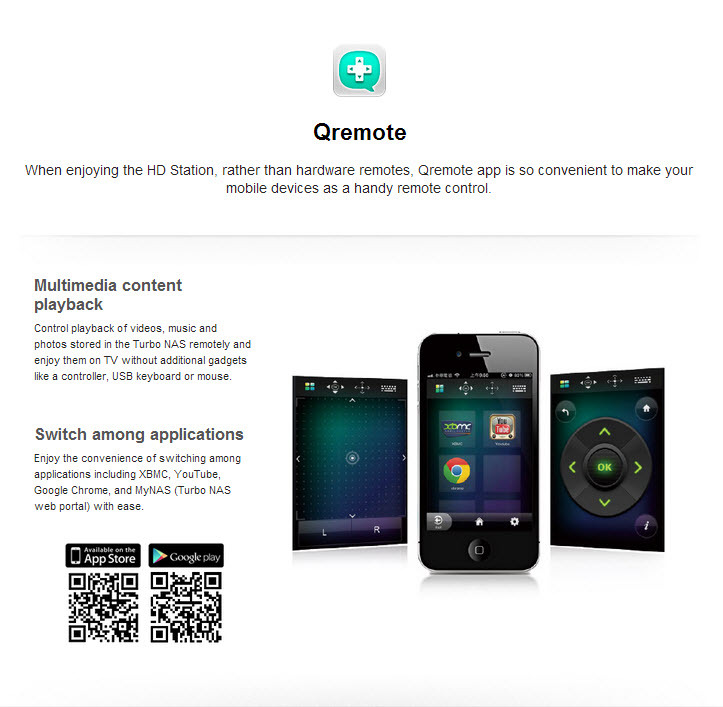 VI – Qremote: When Enjoying The HD Station, Rather Than Hardware Remotes, Qremote App İs So Convenient To Make Your Mobile Devices As A Handy Remote Control. VI – Qremote: When Enjoying The HD Station, Rather Than Hardware Remotes, Qremote App İs So Convenient To Make Your Mobile Devices As A Handy Remote Control. .